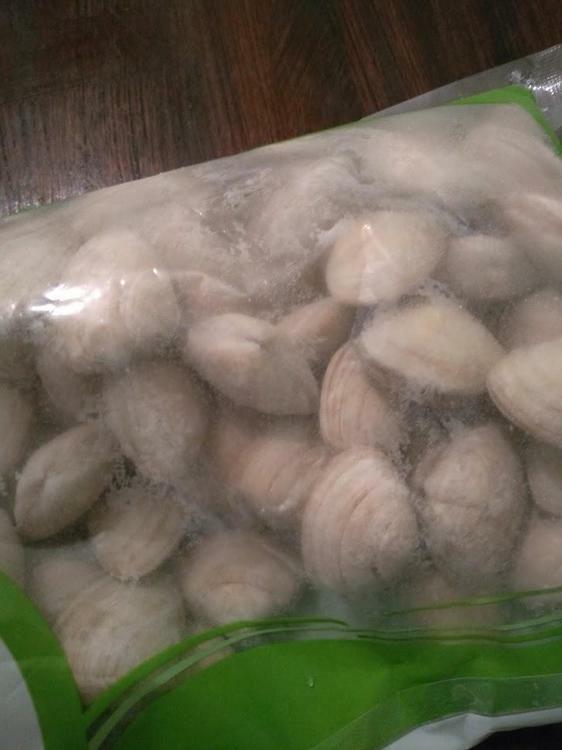 But as you can see from the picture my clams are frozen and I am not sure how to prepare them. I don't speak the language too well where I am at the moment, but I think the woman in the shop said that I should scrub them, boil them for a couple of minutes and then add them to the dish. But when I watch this video the chef is talking about making sure they're alive. So I'm not sure what to do. What's the best procedure and what do I need to be careful of? Hi, I make this dish all the time. Live clams are ideal, they’ll taste sweeter. But frozen ones are okay in a push. They’re saying to make sure they are alive because dead ones amongst live ones will probably be off. But ones that have been frozen from the start should be fine. One word of advice - those are not the best clams for spaghetti a vongole. They will be a bit tough. Ideally you want to get the clams called Vongole Verace or Palourde (they’re the same thing). These are smaller, sweeter and less tough than the ones you have there. To cook them, don’t boil them but rather fry them in olive oil that’s been flavoured by frying garlic in it. Good luck with your cooking. When done well this is truly one of the finest pasta dishes.